Over the summer, I set a deadline for myself. Rather than a date to complete something, it was a start date. Kind of like how people make resolutions for the new year, I made a resolution for September 1st: as of this day, I was going to put forward an honest effort to make something of being a photographer. Admittedly, that's a bit vague, but I wanted to give myself some room as I have quite a bit to figure out. Here's a little background: it has been five years since I held a regular job. It has been four years since I was in school pursuing post-graduate work. And for the past three and half years, I have been a full time, stay at home mom. I will be the first to defend that this exhausting, tedious, but oh-so-satisfying responsibility qualifies as a job as much, if not more, than anything else, but, like many women in my situation, I am craving something more. Something that excites me. Something that exercises my brain in a new and different way. And something that is wholly mine. But this venture is not really about a mom looking to reclaim her life outside of the home. It is more about a woman who spent many years in a fast-paced, challenging and very technical environment who is ready to shed her corporate skin and explore her creative side. This is about the reality that we are leaving England next Spring for new adventures, that my daughter is getting to be school age, and that it will soon be time for me to go back to work. Rather than falling straight back into what's comfortable, I want to embrace this rare gift that I have been given: the opportunity - and the flexibility - to explore a second career. And I don't want to waste it. I want to pursue the one thing that has developed into a real passion these last few years: photography. So, I'm starting with this website. The groundwork for this was unknowingly laid about a year ago when I opened up a public Instagram account and started sharing my photos in the hopes that a few people might be interested in seeing them. Fortunately, some were, and the engagement that ensued became a part of my daily life, motivating me to get out and shoot and share with a supportive community that I've grown to have more affection for than I should probably admit. The confidence I gained as a result of my interactions on Instagram was just what I needed to put this website together. The thing of it is, I'm a bit of an introvert. I've always been the reserved one of the group - the one who sits back and quietly takes it all in. So making my portfolio public? Sharing my work with complete strangers? Writing down my thoughts about photography, travel ... life? Admitting publicly that I'm ready to take a bit of a risk and pursue this photography hobby as a career? Throwing this all out on the internet and hoping it resonates with someone? No.Way. No way. Well, maybe. Oh, okay, let's give this a go. A fairytale thatched cottage in The New Forest, Hampshire, England. 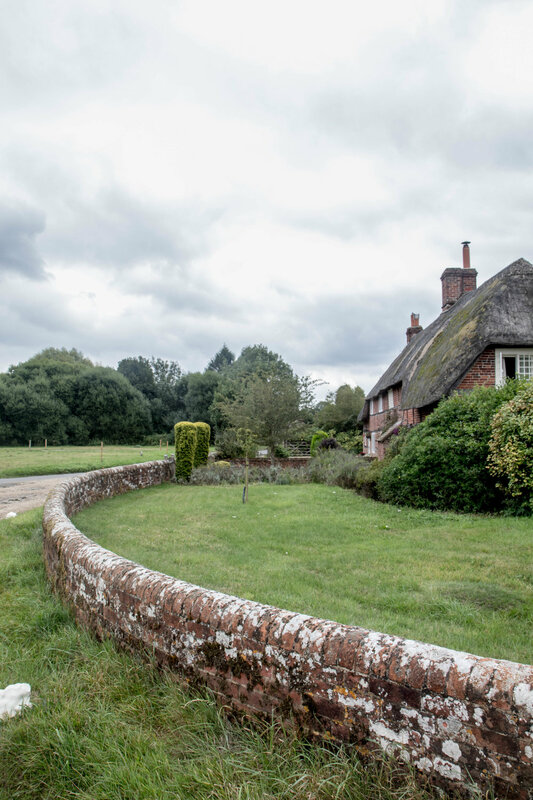 And here are some photos of The New Forest, a gorgeous area of Hampshire that is home to not only an extensive forest, as the name suggests, but sweet little villages and beautiful countryside. I had a few hours last week to explore some areas I hadn't yet visited and was, as always, completely taken with its charm and beauty. So, thank you for visiting. And for reading this far. Stay tuned for additions to the portfolio and more blog posts featuring my adventures around the England and beyond. There are some exciting holidays in our future that I'm looking forward to sharing with you.